DALLAS, TX (January 10, 2019) – Texas Rangers Events and Live Nation are proud to announce legendary musician Billy Joel will perform on Saturday, October 12 for the Final Show at Globe Life Park in Arlington. This performance will be Billy Joel’s first-ever baseball stadium performance in North Texas. Tickets go on sale to the public Friday, January 18 at 10:00 a.m.
“Billy Joel is an iconic artist and we are thrilled to have such a respected musician perform at Globe Life Park. The concert will create a legendary experience for baseball and music fans alike, especially as the final concert at Globe Life Park,” Sr. Vice President of Operations and Events Sean Decker said. 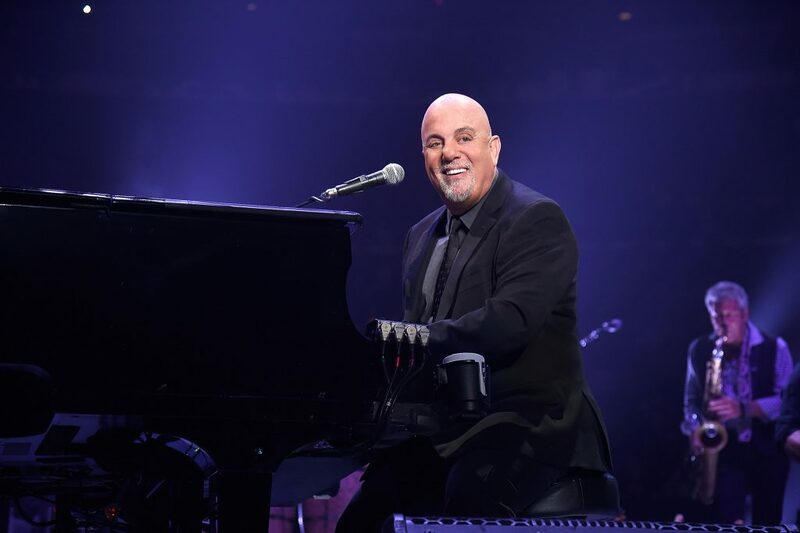 In December 2013, Billy Joel became Madison Square Garden’s first-ever music franchise, joining the ranks of the storied venue’s other original franchises – the New York Knicks, Rangers, and Liberty. Since January 2014, Joel has played one show per month at The Garden. This unprecedented and wildly successful residency will mark a 60th consecutive sellout with its January 24, 2019, show and hit its record-setting 100th career MSG show last July. In December 2013, Joel received The Kennedy Center Honors, one of the United States’ top cultural awards. He is also the recipient of six GRAMMY® Awards, including the prestigious Grammy Legend Award. Joel has been inducted into the Songwriter’s Hall of Fame and the Rock and Roll Hall of Fame and has received numerous industry awards including a TONY AWARD for “Movin’ Out,” a Broadway musical based on Joel’s music. For his accomplishments as a musician and as a humanitarian, Joel was honored as the 2002 MusiCares Person Of The Year by the MusiCares Foundation and the National Academy of Recording Arts & Sciences. Billy Joel: “New York State of Mind,” the documentary film, explores Joel’s unprecedented franchise at Madison Square Garden. Billy Joel: New York State of Mind won five New York Emmys at the 61st Annual NY Emmy Awards in April 2018. American Express® cardmembers will have access to purchase presale tickets beginning Monday, January 14 at 10:00 a.m. until Thursday, January 17 at 10:00 p.m. Tickets go on sale to the general public Friday, January 18 at 10:00 a.m. and will be available at www.livenation.com.